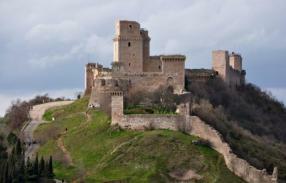 >> Do you want to visit the Major Fortress? Contact now the best farmhouse in Spoleto and discover their offers! 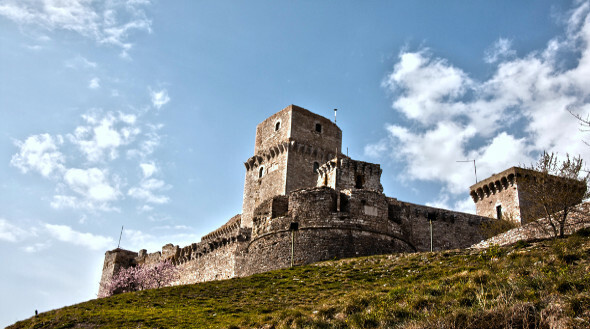 Between 1458 and 1460 a polygonal tower was built at some 300 ft from the main fortress and the two were linked by a fortified passage. The objective of this addition was to increase the defence of the side of the hill towards Perugia. Recent restoration works have made possible an opening to the stronghold for tourism and culture. 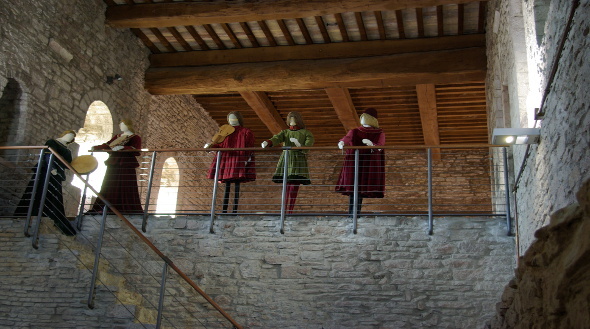 The interior of the Rocca Maggiore are interesting to visit: here you can admire the beautiful halls where they kept reconstructions themes inspired by medieval life. The view from the top of the keep discovery offers one of the largest and most suggestive places of Umbria: Assisi gathering at his feet and the beautiful Umbrian Valley.